Tarps Plus Blog: BackPacking Tarps are Available Now! Are you looking forward to that backpacking trip but not so much the weight in your backpack? well with the Backpacking tarp you can count on 10 pounds of deducted weight off your shoulders. The extra weight put off can be used towards carrying food and water and supply just weight we can do with out. 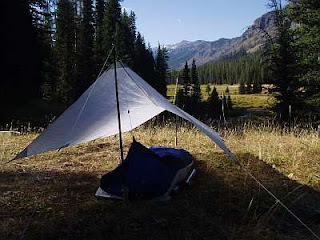 The great asset about the Backpacking Tarp is that it is water proof, Grommets every 18 inches, mildew proof, UV treated on both sides, and many other great qualities. The Backpacking Tarp is one of the favorites among back packers because it is so handy and extremely light duty. Many sizes are available for the Backpacking Tarp from small to large all sizes are available. Check out the Back Packing Tarps at www.TarpsPlus.com.